Mya Renee Thorp, 17 of Rome, was taken into custody at Floyd Medical Center after she was pulled over for failing to maintain her lane. It was then officers said they discovered she was allegedly driving on a suspended license. 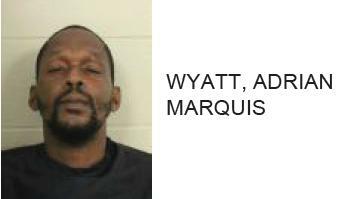 While being taken into custody Thorp allegedly resisted arrest and pulled away from officers before running away from the scene. During the struggle Thorp swung the officer’s handcuffs, striking an him. 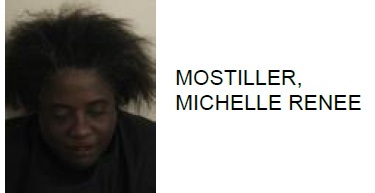 After being captured she was found to be in possession of a syringe containing methamphetamine. She also allegedly gave police a fake name. It was then discovered she was driving without a valid license. 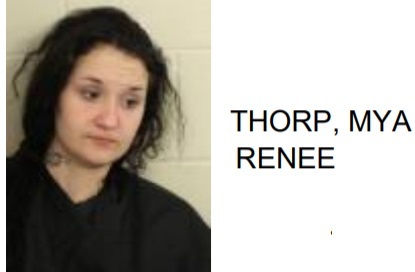 Thorp is charged with simple battery against a police officer, giving false information to police, possession of meth, possession of drug related objects, three counts felony obstruction, escape, DUI, driving without a license and failure to maintain lane.